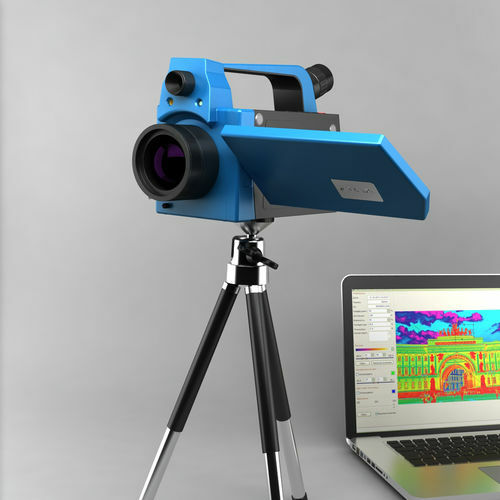 The infrared camera BALTECH TR-01700 is a new unique solution for performing a high- precision non-destructive thermal inspection at any distance to the object. The wide temperature range -40°C…+1200°С and a set of changeable narrow-angle and wide-angle lenses allow conducting the equipment diagnostics and energy audit of any objects. The uncooled microbolometer 384х288 pixels and a high temperature sensitivity allow any user (even without a big working experience in the thermography) to detect temperature spots (cold or hot) on objects when performing the energy audit, diagnostics of electrical equipment, inspections and monitoring of all the manufacturing processes or during the technical maintenance under any industrial conditions. The infrared camera BALTECH TR-01700 has a digital zoom 1-8x, built-in digital camera 5.0 megapixels, built-in lamp and PIP function. The software BALTECH Expert (comes together with the infrared camera) and USB 2.0 interface allow the user to display and record the thermal images in real-time mode in field, for example, on a lap top. The ergonomic housing of the infrared camera has a folding color display 5” and resolution 800x480 pixels, which makes it possible to detect defects even under strong sunlight. There are 2 batteries which ensure the reliable and long operation. You can record a voice annotation up to 60 sec to every thermal image; up to 5600 thermal images can be stored on the SD- card. If you purchase our infrared cameras you can receive the free training on the course TOP-104 “Thermography. Standards and rules of thermal diagnostics and energy audit” at our training centre.